Alright ladies we are just going to jump right into it. The lower belly fat, lower belly pouch, mom pouch whatever you want to call it. That extra fat that just seems to go nowhere no matter what we do. How many of you struggle with trying to get rid of lower belly fat? My hand is raised too! It’s the toughest spot to lose fat for a lot of women, myself included. And, it’s the last place we see progress but the first place we want to see progress. Ugh, the struggle is real! So, you can not spot reduce fat, I’ve talked about this many times but there are ways to help give your lower belly fat a little wake up call. So today I am going to give you 10 tips to help get rid of belly fat! fructose. Fructose is specifically the unhealthy part of sugar. Since your liver can only breakdown a certain about of fructose at a time the rest of it will turn into fat. So it is important to read those labels, especially those in drinks. Soda, fruit drinks and some sport drinks contain a high amount of sugar. Just by eliminating those unneeded sugary drinks can do wonders to get rid of lower belly fat. Keep in mind whole fruit does contain sugar as well. However, those are what the body needs. So eating a piece of fruit is better for you. When your body is under a huge about of stress it will produce more cortisol aka the stress hormone. Simply put the more cortisol you produce the more your body can hold on to fat, especially around your belly. Most of the time women, I know even for me when I am stress I am more likely to grab a comfort food. I find myself emotionally eating or stress eating and it is not the best choice of food to fuel your body. Find a way to reduce the stress you have going on in your life. Take up a hobby you love, take a bath or go for a walk. Anything to relive stress, it’s not only for your belly but good for your mental state as well. By increasing your fiber you are going to slowly get rid of lower belly fat. Fiber helps you stay full longer and does amazing things for digestion. When you are looking to increase your fiber foods such as flaxseed, lentils and even blackberries are the best choice. These contain higher amounts of soluble fiber which will make you stay fuller longer. Women should aim for a good solid 7 hours of sleep each night if not more. Just as I talked about stress, sleep plays into that as well. If you are not getting a proper night’s rest your body can go into stress mode. Protein is a big part of weight loss but plays a huge part trying to get rid of lower belly fat. Just like fiber, protein will help you stay fuller longer. By adding in more protein into your diet you can reduce cravings and boost metabolism. Great protein foods are lean meats and eggs. You can also add in protein shakes to give you that extra boost as well. Catechin which is found in green tea has been linked to less lower belly fat. So swapping out your morning coffee for a green tea might be better to get rid of your lower belly fat. I’ve talked about this many times on my blog. You can not spot reduce fat. Your body just does not work that way. 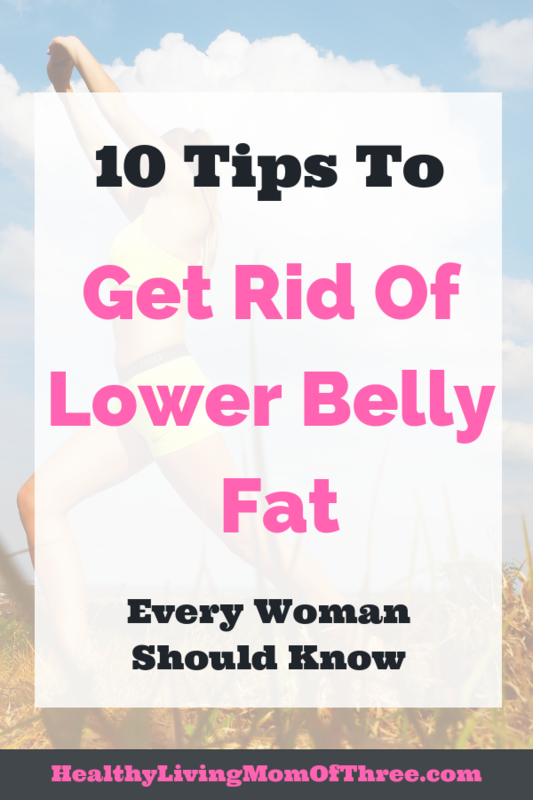 Lower belly fat is one of the hardest area’s for most women to lose, especially after we have kids. Most of us have that lower belly pouch after babies. Give yourself time to work on your belly. If you had children understand that it went through a lot of changes in a short amount of time. So losing it right away might not happen. You are you, and your body is different than every one else’s. Lemon water has so many health benefits. If you are someone that finds it hard to get in all your water each day, I encourage you to try lemon water. Lemons contain high amounts of acid which is great for your digestion. They are known to slow down your digestion and making your body hold on to the nutrients it needs. 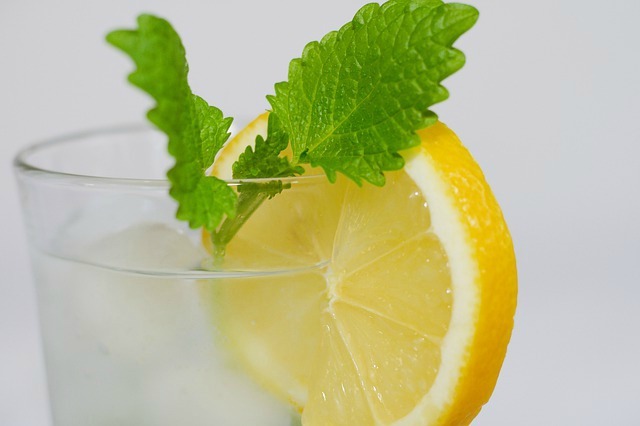 Studies have shown drinking lemon water can help with weight loss especially in trying to get rid of lower belly fat. So you think to get rid of lower belly fat you have to spend hours each week training abs. Sure, you want to build core strength but over training will not make the belly fat go anywhere. You are just going to build up your ab muscles but still have the fat on top of it. There is no need to work abs more than needed. Instead focus on building a good core. Your core those deep down ab muscles need to be strong for your entire body. When you have good core strength the less back problems you have as well. Your core helps to stabilize your spine. Since you can not spot reduce fat a great way to burn a ton of calories in a short amount of time is HIIT cardio. By pushing your body to it’s max intenstity for short amounts of time you could burn more fat for longer. HIIT cardio is my go to cardio training for many reasons. I find it most effective to burn fat out of any cardio I do, plus a busy mom life I only have short amounts of time each day to workout. It’s a win win. When I started to incorporate HIIT I noticed huge changes in my lower belly. That is where I store most of my fat, so HIIT was a game changer when I wanted to get rid of belly fat. 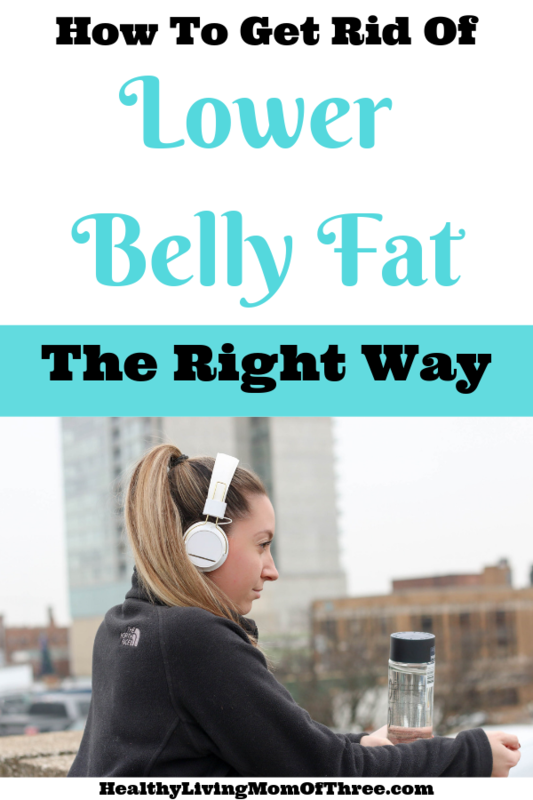 When you want to get rid of lower belly fat there is no magic formula. It will not happen over night. Time and patience are key. It is a tough place to lose fat but you can get there if you are consistently working towards it.